Hosting a birthday party for your child can be one of the most rewarding experiences as a parent. But without the right venue, what should be a festive occasion can easily turn into a disaster you and your birthday boy or girl won’t soon forget. Alabama isn’t short on fun places to have a birthday party, especially since they handle all the details so all you have to do is show up and enjoy the fun. These 10 best places for a kid’s birthday party in Alabama can help make your child’s next party the best one they’ve ever had! If you’re lucky enough to have a warm weather birthday, there’s no better place to party than Alabama Splash Adventures. Water slides, pools, games, rides, and an adventure course are just a few of the attractions your guests can enjoy. They offer indoor and outdoor party rental space, and provide the pizza and cake. This indoor high-speed go-kart track is perfect for older birthday boys and girls. Go-karts top out at 50 miles per hour, leaving your guests exhilarated and thirsty for more. Best of all, when you book a party here, the track is all yours. The EarlyWorks Museum family consists of two epic adventures, each one sure to delight your child on his or her birthday. Choose from the children’s history museum or train depot to set the backdrop for your fun, educational, interactive party. Children will love the hands-on activities, plus they take care of the invitations to give you one less thing to worry about. This is not just any bowling alley. Inside you’ll discover laser tag, an arcade, and a ropes course that will make your birthday boy or girl feel like they’re on top of the world. Your birthday party package entitles you to at least one attraction, cupcakes, soda, pizza, paper products, arcade credits, and a private party room and host. 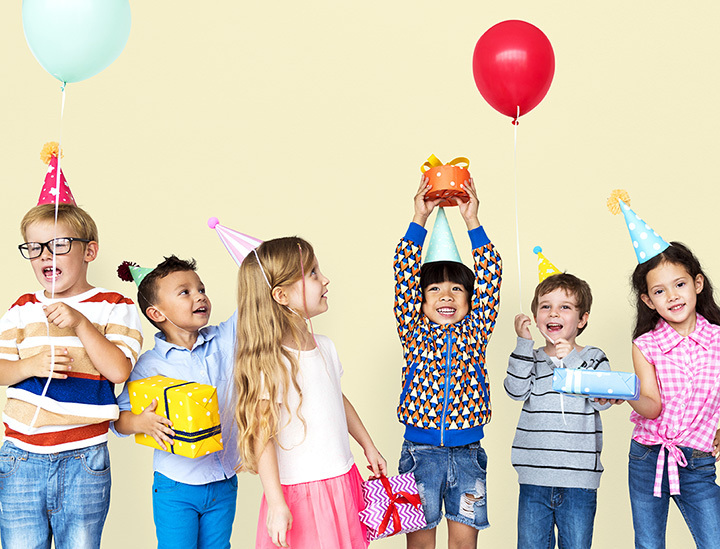 It’s never been easier to book your child’s birthday party—CyberZone Entertainment Center has an online booking system that lets you check availability and reserve your spot in as little as a few clicks. They have a massive indoor arcade, laser tag, and bounce zone that will keep your party guests entertained for hours. You also get a private party room, pizza, drinks, party host, and all the setup and cleanup included in your reservation. Show up with the food and presents, and they take care of the rest. Hosted at their facility, you can rent inflatables for your party in this fun-themed environment. When the party’s over, they handle all the cleanup for you so you can spend more time with your birthday boy or girl. This fun indoor play place is perfect for kids of all ages. They provide pizza, drinks, ice cream, paper products, setup, cleanup, and a bundle of tickets for the birthday boy or girl to use at the prize counter. With a fully-stocked arcade, massive indoor playground, and rock wall, you’ll have everything you need for a memorable party. Your sweet little princess will love being star of the show at Spa Tea Da. Specifically made for parties, your birthday girl and her friends can get the royal treatment with tea, dress up clothes, spa services, and a stage for imaginative play. They offer several themes for all ages, and handle all the fine details for you. This chain of indoor inflatable fun centers has everything you need to get your party pumped. Featuring several massive inflatable play zones and a special inflatable birthday throne, your child will be center of attention. They have party packages you can customize to create the precise experience your child wants. You won’t find a better trampoline park anywhere in the state. Steel City Jump lets your guests bounce out their cake and ice cream sugar rush in the best possible way. Parties include access to the general jumping area, dodgeball contests, basketball, and foam pit, along with a private party room, ice, paper products, and more.